I recently saw an article about ‘The World’s Most Stylish Tree House’ and it got me thinking about how much I longed for a tree house when I was younger. Nothing too fancy, maybe something a little like Bart’s on The Simpsons. Somewhere I could hide and relax, somewhere with a view. All I had was a rope tied to one of the apple tree branches. Certainly a room with a view! 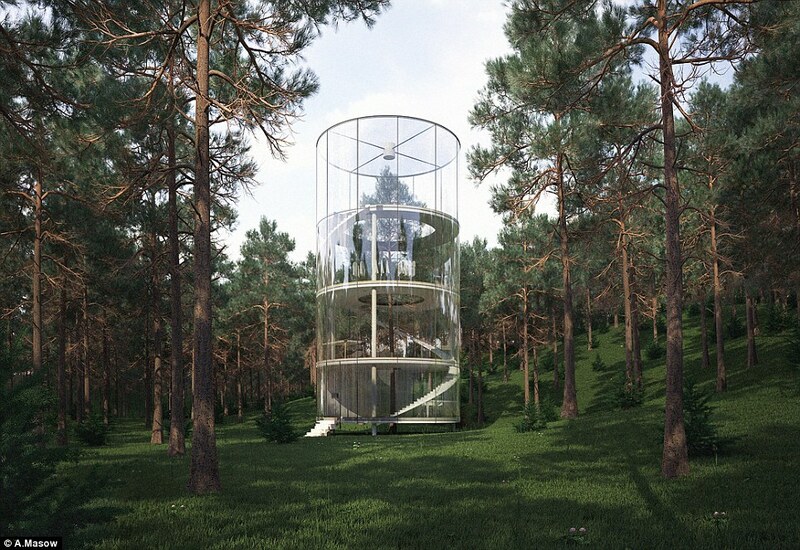 A three-storey cylindrical glass design, built with spiralling staircase around a 40-foot fir tree, just outside the city of Almaty. An inventive and monumental building, although clearly not built for privacy. Maybe, good old bricks and mortar is a thing of the past. Maybe bringing it back to nature and being part of our natural surroundings is the way forward. I mean, who could say no? Seeing this design really got me thinking that the possibilities are endless with design and with all the innovative people in this world, we could be living in tree house communities by 2020. What a beautiful start to every day we would have!